Solar panel is not only generating electricity it’s also use for cooking, water heating fruit dry, In this article I am just discussing about type of solar panels which are making a electricity and which one of them are suitable for Pakistan’s environment. Solar panel commonly called PV photo voltaic cell that is clusters of solar cells in which many solar cells are connected in series. The life of solar cell is 25 year but its efficiency decreases gradually after 25 year P.V cant stops working but its efficiency decrease 80 percent. As it is obvious from its name, its one cell composed of one silicon crystal. It is usually black in color. 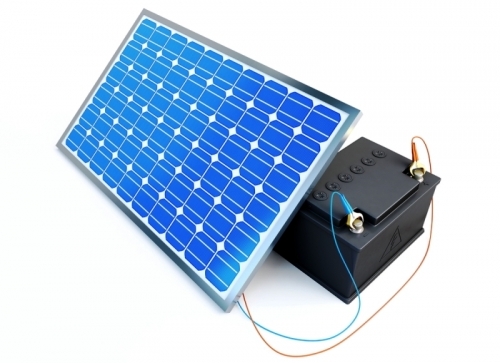 It works in dim light and is very sensitive and expensive in all solar cells. It converts 18% of the incident light into electricity. It has low beat bearing capacity and shows its complete efficiency till temperature ranges to25C. Temperature varies for different solar cells. It is written on all solar cells as N.O.T.C (Nominal Operating Cell Temperature). In mono crystalline solar cell, if some of its silicon cells are exposed to light while at the same time the others are not then it may cause damaging of the solar panel. It is therefore should be kept in mind that at the same time all the cells must be exposed to light or be kept in dark. Its one cell composed of multiple silicon crystal. It is usually blue in color and there may be spots or lines of other colors seen in the cell. It converts 15% of the incident light into electricity. If we compare it with the same size of mono crystal solar cell then its efficiency is slightly lower than the mono crystal solar cell. It is also somehow lesser sensitive and less expensive than mono crystalline solar cell. Its heat bearing capacity is more than mono crystalline cell. It usually works under the temperature ranges to 45C but it also varies for different solar panels. As in mono crystalline solar cell, at the same time some part of it in dark and some part exposed to light cause damaging of cell. It is sometimes also called as Solar Film. It is made up of amorphous silicon instead of silicon crystals. It is generally of black color. It converts 10% of the incident light into electricity and hence it produces least amount of electricity as compare to its volume. Thin film is least expensive in all. It has ability to bear a large amount of heat. One of its benefits is that it is not affected or damaged by placing some of its part in light and a part exposed to light. It is flexible and used at various other places where both of the above types are not useful. To produce more or less amount of electricity means that if we take same volume of each kind of cells then they all will produce different amount of electricity. In markets, solar cells are available according to their power hence the type is not affected, the only difference will be in sizes. For instance: for 1 watt, the size of mono crystalline will be smallest where as the amorphous will have the greatest size. As it is discussed before that all solar panels work only in specified temperature range, the information is provided on every cell in terms of N.O.C.T. (Nominal Operating Cell Temperature) as the temperature rises above the limit the efficiency of the solar panel goes effected. In additional to this how much the rise of temperature will affect the efficiency of the solar panel also written as temperature coefficient on the solar cells. For example if the N.O.C.T. of any solar cell is 25C and its temperature coefficient is -0.47 then the cell works accurately till 25C but as the temperature begin to rise, the efficiency of the cell begin to decrease by 0.47. It is notable that N.O.C.T. of any solar cell means the temperature of the operating solar cell and not of its surroundings because the temperature of the surrounding is always lesser than the objects placed in it like we can stand in the sunshine by ourselves but could not touch an iron piece placed in that sunshine. If we discussed solar cells according to the Pakistan’s climate then in the areas of plain where in summer the temperature ranges from35C to 45C poly crystalline solar cell is useful wile the areas where the temperature crosses over 45C thin film is better. In southern mountainous and cold regions mono crystalline solar cell is useful. It should be kept in mind that due to the rise of temperature solar cells are not damaged but their efficiency decreases. As the temperature decrease, the efficiency of the solar cell restored. In normal plain areas of Pakistan, in a hot day of summer if we determine the production of electricity of both mono crystalline and poly crystalline solar cells, it will be found nearly equal. The reason is that the mono crystalline is more efficient at time of sunrise and sunset but when temperature rises in day time its efficiency decreases while the poly crystalline is more efficient at day time. The above result shows the same production of electricity but in winter season and in colder region mono crystalline is more useful throughout the year. According to experts, for plain areas poly crystalline and for colder regions mono crystalline are suitable. There is a precaution needed in purchasing of mono crystalline solar cell because of corrupt traders as they take advantage of color resemblance between mono crystalline and thin film solar cell. As there is a difference between their structures, before selling out of thin film in markets, they stick some shiny and white stickers in such a way that it will look like mono crystalline solar cells and that stickers seem to be the taping wires. Previous Deserted Situation Of Science At Grass Root Level And Its Solution By PSC. 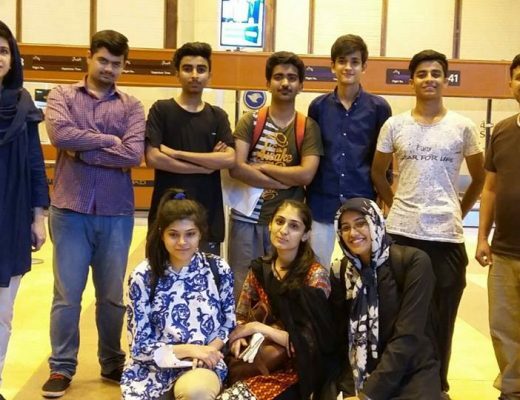 Next volunteer opportunities: Host (Male / Female) for video portal Pakistan Science Club. very important and informative article. i want to ask that how to identify a mono crystalline cell from a film cell?